Research indicates that children learn best in an environment that allows them to explore, discover, and play. And we're not just talking about a trip to the park on Saturdays. Even indoor environments can be designed to encourage positive, self-motivated, uninhibited exploration. 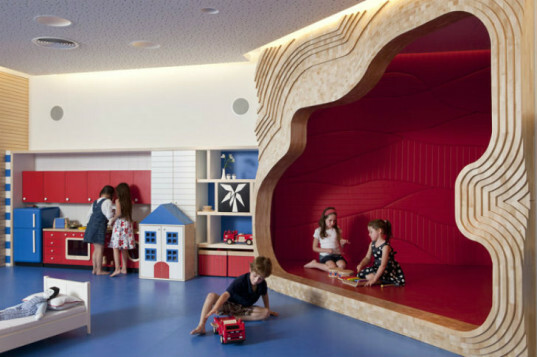 For inspiration check out the 10 amazing indoor play spaces we found below! If a jungle gym and a library had a baby, it would probably look like this amazing book-infused play space. I love that there are lots of hidden nooks and crannies where kids can get lost in a good story. Got a little Shakespeare in the family? This amazing stage area built in a hotel play space is a great place to hone their performing skills. 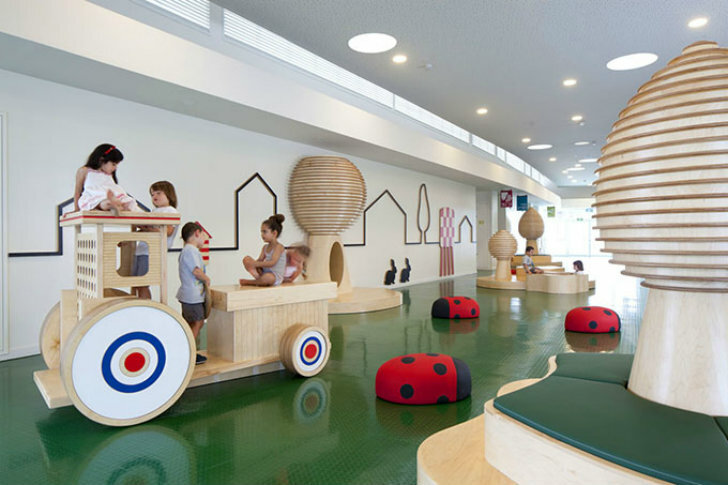 Imaginative indoor play spaces don’t always require elaborate remodeling projects. 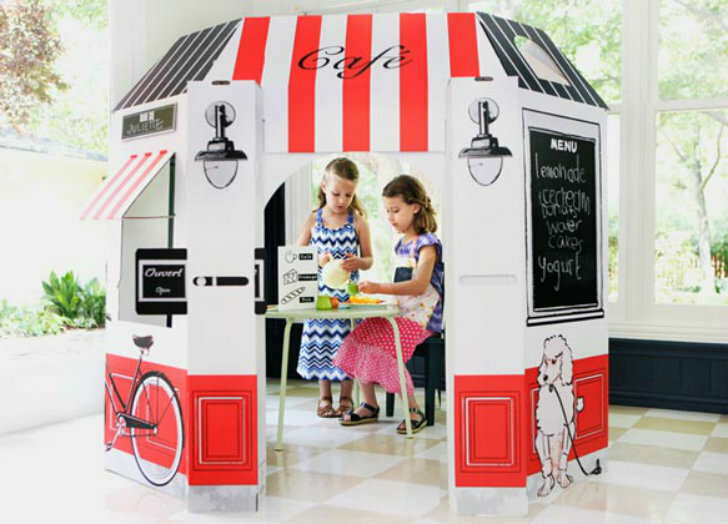 These recycled cardboard play houses by Mom-turned-designer Kate Fagelman of Little Play Spaces transform any room into a cafe, castle, and more! Play should exercise both body and mind. This Educational Centre, located in the Kfar Shemaryahu area of Tel Aviv, Israel, features bright colors, clean lines, and multi-level structures so kids can move and learn in the way that suits them best. See the other rooms. When someone says “restaurant with a play space,” you might envision those slide and ball crawl combos that fast food joints use to attract families. This Los Angeles area restaurant chain is anything but. Giggles N’ Hugs brings together high-end, organic food with active, cutting-edge play and entertainment for children. What’s better than bunk beds? How about bunk beds that double as a climbing structure, storage space, and playhouse? Parks are great… when the weather’s nice. When it’s not, children start climbing the walls and parents get stressed. It was just this conundrum that inspired a group of New York City parents to open Apple Seeds: All-in-one indoor play spaces for families with children ages newborn to five. With 15,000 square feet of high end play space (including an imaginary deli–how New York! ), classes, a café and even a kids hair salon, Apple Seeds is a winter-time dream come true. This family play and lifestyle center is a 10,000 sq. foot oasis in the heart of Philadelphia. There’s a massive interactive play space downstairs, and upstairs a lounge and boutique complete with stroller parking. The best part of the school day is now available year-round in Washington D.C. Recess – Urban Recreation is an indoor play space where families can play together, take classes and have important events, like birthdays & showers. There’s even WiFi! Every kid wants a tree house, but not every kid has a backyard tree that will hold one. The young-at-heart team at Missing Link solved this problem by building what is arguably the coolest treehouse ever–right in the middle of their South African HQ. 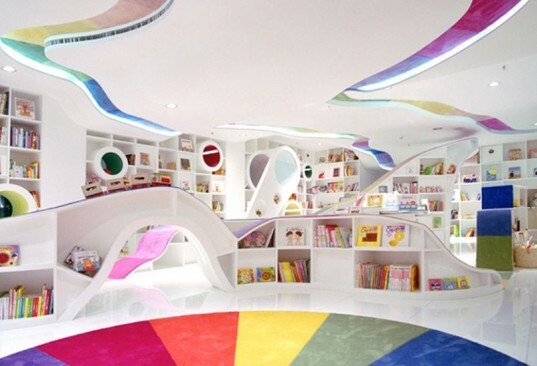 If a jungle gym and a library had a baby, it would probably look like this amazing book-infused play space. There are lots of hidden nooks and crannies where kids can get lost in a good story. 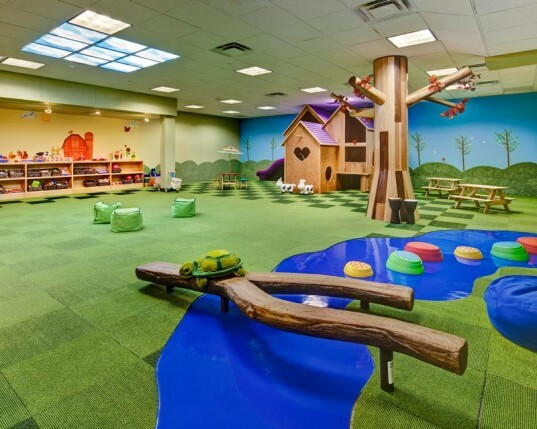 Imaginative indoor play spaces don't always require elaborate remodeling projects. 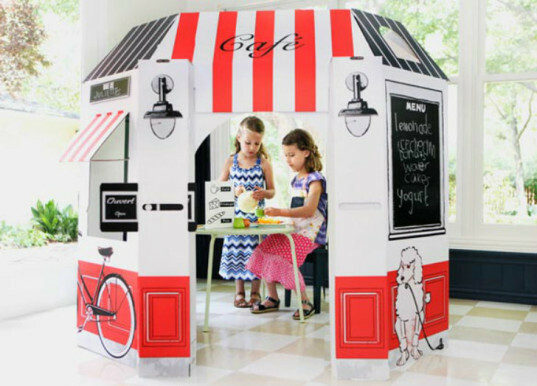 These recycled cardboard play houses by Mom-turned-designer Kate Fagelman of Little Play Spaces transform any room into a cafe, castle, and more! When someone says "restaurant with a play space," you might envision those slide and ball crawl combos that fast food joints use to attract families. This Los Angeles area restaurant chain is anything but. Giggles N' Hugs brings together high-end, organic food with active, cutting-edge play and entertainment for children. What's better than bunk beds? 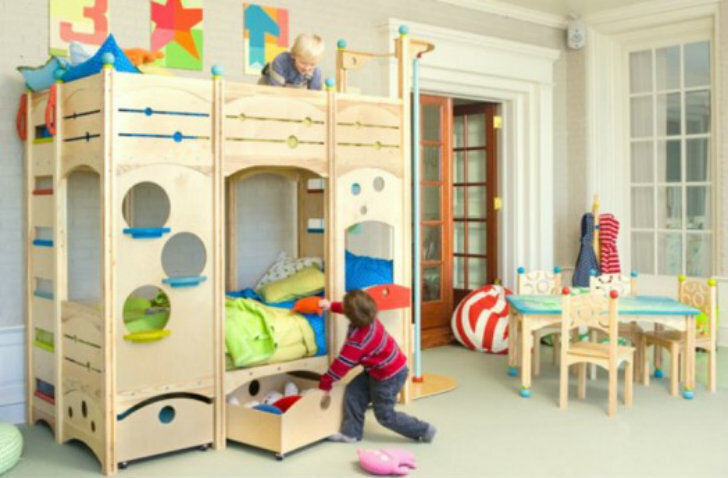 How about bunk beds that double as a climbing structure, storage space, and play house? Parks are great... when the weather's nice. When it's not, children start climbing the walls and parents get stressed. 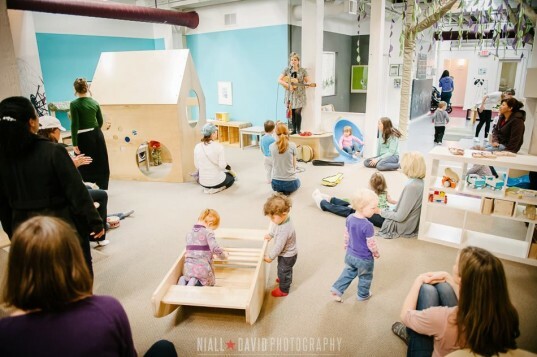 It was just this conundrum that inspired a group of New York City parents to open Apple Seeds: All-in-one indoor play spaces for families with children newborn to five. With 15,000 square feet of high end play space (including an imaginary deli--how New York! ), classes, a café and even a kids hair salon, Apple Seeds is a winter-time dream come true. 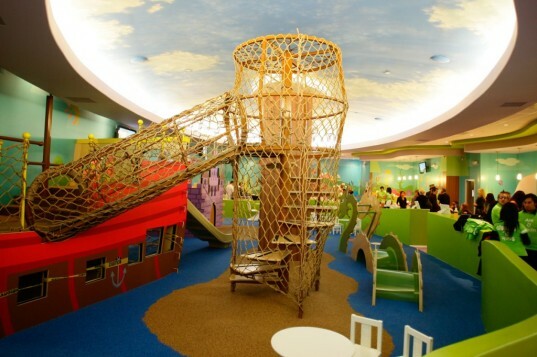 This family play and lifestyle center is a 10,000 sq. foot oasis in the heart of Philadelphia. There's a massive interactive play space downstairs, and upstairs a lounge and boutique complete with stroller parking. The best part of the school day is now available year-round in Washington D.C. Recess - Urban Recreation is an indoor play space where families can play together, take classes and have important events, like birthdays & showers. There's even WiFi! Every kid wants a tree house, but not every kid has a backyard tree that will hold one. 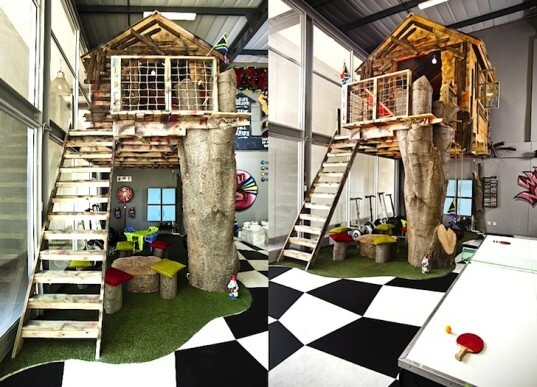 The young-at-heart team at Missing Link solved this problem by building what is arguably the coolest treehouse ever--right in the middle of their South African HQ.